Is Live Video Still a Thing? Live video. 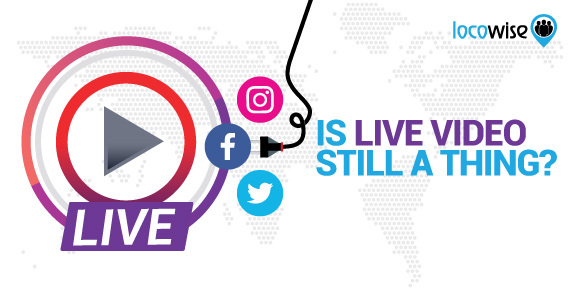 Where Facebook used to own the space, there are now plenty of other ways to use live video effectively as a brand. But how important is it, still? If there was no chance of ever doing a live video again, would it mean the end of the world? No, it wouldn’t be that disastrous, but it would affect everyone’s business. 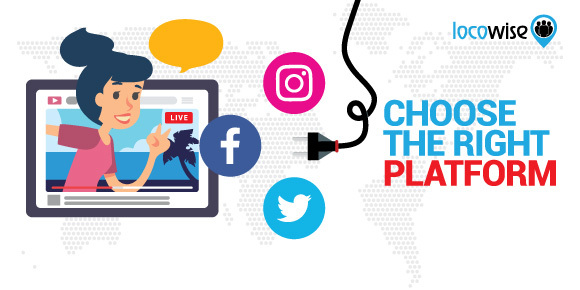 It’s important to consider live video as a marketing tool as much as you can, because when it is done right, you have a very powerful and effective marketing tool. So reviewing your live video experiences makes sense for every brand out there right now. But just shooting whatever you can doesn’t work. Here’s what does. We know, live video is real time, right? But imagine how much more effective your live video will be if it is ted into a real-life event. Like a football game, or a forum you’re attending. This makes everything much more fun and ‘real’. Don’t underestimate the benefits of streaming from something that matters to an audience. If your audience wants to be at a special business seminar in another country, and you happen to be going, shoot some live video during the process. You’ll be surprised how popular that live video can become. The key here is the fact that the live stuff is best unscripted. Believe it or not, some brands use scripts for live videos. This is a good thing if the people involved in the video are not comfortable (normally) on camera. A script anchors the action, and ensures the video gets done. But people do want unpredictability, they crave to see stuff that just ‘happens’. If you look at live video from a citizen’s point of view (as opposed to the point of view of a brand that is thinking commercially), they use live video to have fun. And this means finding everyday happenings that are surprising, and then making a quick, in-the-moment video. If you can capture this spirit with a live event, you’re onto a winner. Like all things social, if you don’t know your audience with live video you’re looking to fail. This is especially true with time zones. Sure, if your audience is located in one country only, as in you’re very local, this doesn’t apply to you. But if you have coverage across the world (and the Internet has kind of made that an easy thing to do) you really need to be thinking about when people go to sleep. If your audience is asleep when you go live, they can’t watch it. Does this mean making more than one live video? Well, in a way, yes. If you’re crossing the globe with your business anyway, you’ll surely have people marketing to different countries. Use them to create live video. If it does not work out, it doesn’t work out. But if you don’t try, you’re missing chunks of your audience. We mean the platform. There is sometimes a huge variance in the platforms that you can use, and this can mean a completely different experience. Going back to the part where we asked if you knew if your audience was able to see your content because of timezone constrictions, using Instagram Live is better. The live video stays as ‘live video’ for 24 hours here, and has marks and tags that tell you this. If you are more international than national, it makes sense to create videos that have more chance of being seen by everyone. Twitter is best for real-time stuff because the audience is one that expects quick and in-the-moment content. If it doesn’t have it, it’s not relevant. Brands sometimes have the whole day on Twitter, and build in live-streaming because they know that the audience will most likely stay on for the full day. The instant and unscripted nature of live streaming makes huge sense on that platform. Get to know your platforms better. Focus on the platforms that make most sense with your style of content and the time issue. Once you’ve managed to pick out the most suitable platforms for your live video message, you’ve cracked it. Looking at the problematic nature of live video, it all depends on Internet connection speed. Your audience could be in a remote place, or just a place that doesn’t have great Internet. If this is the case, the buffering required to watch your video could be a massive issue. Think about this and work out whether or not the live video thing is a viable option for your brand. A spell of poor quality sound could be an issue also. If your live videos, for whatever reason, have patch sound, you’re going to lose engagement. And not investing in high quality equipment, for example, is an easy way to make this happen. Bear this in mind, Experiment with the tech you use and keep in touch with your audience. If there are problems, it makes more sense to tackle them immediately. This is what gets most brands annoyed. There is no real way to monetise live video on the platforms themselves. The only way you’re going to be able to monetise what you do is through conversations that should be resulting from your live video work. If people see your video and go to your website and buy, they’re worth it. The problem is that so many brands expect overnight success. It takes time to think about a live video idea and to implement it. If your brand is fully aware that the best it can do is direct people to your website, you don’t have a problem. If they are not aware, expect it to crash and burn very quickly. Take a look at the concepts here and make an informed decision about live video. It may actually not be for your brand. And if it isn’t, it’s worth knowing sooner rather than later. Fancy getting your hands on some social media metrics that actually work? Great stuff, we knew you were clever. Contact us here and get yourself a free week of Locowise.